Staff Recommendation: A charming debut novel and a wonderful start to a new series. We meet Inspector Ashwin Chopra on the day of his retirement from Mumbai Police. But two things happen on this day to prevent things from going smoothly. 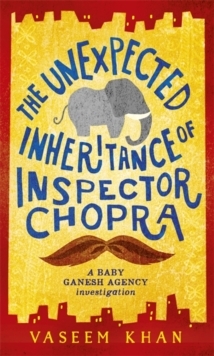 Firstly, Inspector Chopra inherits Ganesh, a baby elephant who is delivered to the courtyard of his apartment building, and then there is the mysterious death of a young boy, which no one wants to investigate. I wholeheartedly recommend this book for readers who want a little light escapism and especially for anyone who loves elephants.